Tobold asked (long ago) a question that is asked thousand times before: why do bankers, business-leaders (not owners but managers), marketing gurus make more money than doctors or engineers in nuclear plants? The primitive answer is demand and supply: I don't have to pay that much for a doctor because there are more doctors than banking gurus. If there would be less doctors, I'd have to pay more, but this is not the case. This is true, but meaningless. The question is why there are more doctors than able bankers? It's without question that the first is much more abundant than the second, and the second is much more abundant than the third. If we add the wannabe-s, the people who "work on" becoming one, the ratios distort even more. Practically every living body raids somewhere. Much less people put their feet into arenas, and even less ever attempted to make money on the AH. The first is "respect". High-end raiders are the "elite" of WoW. They have the "coolest" gear, the "coolest" mounts, the coolest titles. Social people want to be them, so they go raid. PvP-ers have harder time to show off their exploits. Of course "gladiator" title is great, but if you are not the #1, you don't get much. The arena rating is not visible on the character. It's pretty hard to show off that you are in the top 5% in PvP. Money is absolutely not showable. Bikes and Mammoths are available to daily quest grinding punks, so it's really not so "cool", only kids adore it. Also, since PvP-ers and AH-goblins fight other people, they are often perceived "evil", and even if they can show off their results, it brings them rather infamy than fame. 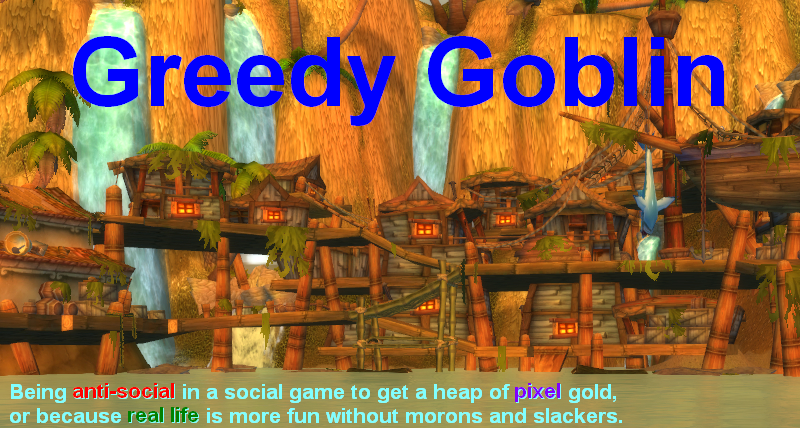 The hard mode guild has never pwned the masses or took their gold, so there are no hard feelings besides envy. On the other hand every average player have bad memories about being ganked when wanted to do some holiday battleground stuff or "ripped off 100+G for pressing a button by some greedy jerk". Same way the doctors, engineers have higher respect than bankers or marketing people. Their results are more obvious (all friends of the patient will know that he's been healed, and everyone can see the new car on the street) and also completely PvE. The doctor helped people against bacteria or accident, the engineer worked on metals and plastic to create something that "the people" use. On the other hand every cent the banker has came from "exploited" people. This "social respect" motivate lot of young people to go doctor or engineer, increasing the supply, lowering the prices. The other reason also connected to the PvE-PvP nature of the different jobs. To be a good raider in WoW, all material is available. If you learn what EJ and Tankspot teach and simply use that knowledge, you are good to go. Of course it doesn't mean everyone can be good PvE-ers, since it needs basic intelligence, reading skills and lot of effort. Effort needed everywhere, so cancel that. The better half of the mankind has the intelligence and reading skills to don't stand in the fire and learn what boss does what. So, assuming effort done, half of the playerbase could be raiders. PvP data is much less available, exactly because as soon as some trick becomes well-known, it will be countered, rendering it useless. To have the knowledge of a PvP-er, you can't just rely on static databases, you must constantly read the top forums, watch the newest videos of top PvP-ers, and so on. With gold, databases are even less usable. A single guy being aware of the trick can ruin it for you, while you can use yesterday's PvP move on everyone who doesn't know it. The PvE knowledge is static, teachable, learnable if you are not an idiot. Granted, it takes much higher IQ and much more reading to learn brain surgery than Twin Valkyre strat, but the literature is there in the university library and any professor will happily teach you. On the other hand no one will teach you the recent business tricks, partly because you would use it against them, and also because they are usually immoral and sometimes illegal, so those who use them won't admit using them. RL banking business is pure PvP as no crafting involved. No one will teach you the tricks, so you either somehow get into the right circles and gain their trust to teach you, or figure it on your own. That's the other thing that make "good" bankers rare. The reason there are more doctors than there are bankers, is because a single doctor can only see a single patient at a time, but a bank manager can oversee a dozen tellers. Imagine for a moment if a doctor could reliably control a dozen clinicians who were fully capable of looking after all of a doctor's current duties... imagine for a moment that this position suddenly requires a very bare minimum of on-the-job training and no post secondary education. Suddenly, doctors would be much rarer, there would suddenly be far less demand for 'poor' doctors and a lot higher demand and wagers for professional, very skilled doctors capable of overseeing the operations of a larger number of subordinates. You're comparing apples to oranges -again-, you have a terrible habit of doing so, much as I love some of your ideas and the way you examine things thoroughly. Sure, a single doctor can only see one person at a time - but if you think they DON'T oversee groups of subordinates that see patients on their own, you're completely unaware of how a doctor's office runs. Even in a relatively small clinic, there are often times a patient only ever sees a Nurse Practitioner (NP) not the actual MD. For most 'standard' visits (got a cough? stuffy nose, need a strep test?) you will see an NP and never need to talk to the Doctor who 'runs' the clinic. Perhaps where 'you' live. Up here if I go to a clinic, (even a walk in clinic where I don't have an appointment) I'll end up in the hands of a qualified physician. As far as I know, here (Canada) you cannot see patients, prescribe medication or provide clinical diagnosis without being an actual doctor. Scientists enjoy a lot of respect in our society? Don't know where you live, but here you gain more respect by driving a Ferrari than by claiming to hav solved a difficult mathematical problem that nobody else even understands. Canada isn't a real place, so Role is correct and anonymous is social. With jokes aside, many people become doctors for the prestige and title, and secondly for the money. An article I read recently on the Union Tribune, talked of a study where the happiest doctors are those working with Children and Seniors. But most doctors go after the jobs that give most money, and they are the least happiest. The people who really get the short end of the stick in WoW are the wealthy players. A player can be a great raider but spend every gold he ever gets, and he will have way cooler stuff than the wealthiest player can buy. It's really a shame since just like in real life, wealth should be the truest indicator of success. Is it an assumption that there are more doctors than bankers? Just wondering..
Another reason that people choose doctor over banker could be because being a banker just seems horribly boring. It probably takes a special kind of person to enjoy a job like that. BTW, a banker making more then all the other professions isn't that strange. It's his business to turn big piles of money into more. I wouldn't even trust a poor banker with my money. Just like I wouldn't trust a car mechanic that drove some old wreck himself. Your argument would be more compelling if not for the number of business degrees awarded every year by many, many universities. Commerce is very popular, it's just that not many people are good at it, and there's not much room at the top. Why do you assume that money is the best measure of success for a doctor or engineer? A top raider isn't gold capped, nor is a top PvPer, they have rewards related to their role. Similarly, very successful bankers, who deal with money, tend to get very rich because they know how to deal with money. Successful engineers tend to get offered the best projects and most interesting work, and the best doctors get the best positions where they can focus on their interests. Why assume that a top engineer is 'less successful' than a top engineer, simply because they have a lower salary? into WoW. Here, this was a rather rich topic to read in my opinion. I liked how you also made a rather interesting point giving out the examples of socials at work in real-life and in WoW. This has given me another look into the new ideas you presented today. Also the whole bit that very wealthy WoW players really don't have anything to show for it is spot on. Great comparisons either way to spin it. Although there is more to it. It's great to see someone get the gears spinning in people's heads. Now I have finally found an interesting WoW blog, thanks for the read, people and their motives interest me. Interesting PVE vs PVP paralel. What would be worth adding is that PVE seems more about the social status and showing off, whereas PVP is more of a personal interest which makes you feel good by overcoming hard challenges. Not sure about the accuracy of the doctor-banker parallel. I mean its clear, that bankers make money because they work with money (through bonuses to keep them interested into doing a good work, experience with handling trading and an overall bigger slice of the pie distributed to banks - i.e. if both a bank and a hospital pay 1% of their profits to employees clearly those working in banks will be better payed...). And I'll believe there are less bankers than doctors when I'll see it in an official report. You're comparing different 'tiers' (salary/prestige) with each other (doctor vs. business CEO). There is virtually unlimited demand for doctors, who could in theory charge whatever they like for their services. There are laws in place to prevent this, however, as you can imagine a world where the poor can't afford healthcare (I'm looking at you, USA). The banker, conversely, faces very poor job certainty. He could be earning £120k today and walking out of Lehman Brothers with his belongings in a box tomorrow. Consider the difference between someone who does dailies vs someone who relies on the AH for their income. p.s: Over here (U.K) doctors are paid substantial wages - £100+k/year. The reason bankers earn more is totally different. It's because basically it's in the interest of the chefs on top to give high salaries because because of the old boys network their own salary will benefit for it. A doctor doesn't set his own salary a banker basically does. It's a big interest to top-managers to keep salaries spiraling upwards because their own salary will benefit from it. I think the bankers he's discussing aren't the ones earning 120k euros, they're the ones earning 12,000+k euros. In my city (NYC), there is tons of them (even in 2009, albeit far less). Also, bankers in general are the epitome of Gevlon's so-called "M&S". I couldn't help lauching that u need to place urself in the same league as top bankers, somehow better then top scientists, becuase u accomplished gold cap in wow. It's a neat parallel to RL, but I suspect the basis for the wage difference between bankers and doctors isn't just a simple supply and demand curve. I would agree that there are probably less "top" bankers, but there are probably more "middle"-range doctors and people going into the medical profession do so with a greater certainty of success, that is, the median wage is higher. I think you're bang-on though with the concept of their "salary" including more than just money though for doctors. I would wager most people get more than simply money out of their chosen profession, and for those that don't, they probably wish they did. Having social 'respect' is just as big a part of a doctor's pay packet as a fireman's. I'd have to say that Doctors, Engineers, and Scientists don't care about the money (to a point). They are in their respective roles because they have a genuine passion for their industry. Doctors, Engineers, and Scientists are all very good for society. Bankers are just greedy, and lazy.....but also cunning, manipulative, and smart. The whole idea of interest for lending money goes against society. We live in a society of debt, and the only way to repay our current debt is to take out more debt. Our fake money led to being able to finance leaps in technology, but the interest need not come along for the ride. I'm a banker, I know. I deal with mortgages, and I hate my job. I can't wait to find something I care about. Do you realize that for a 200k mortgage you are probably paying back 500k total? The amount of money that is made from lending is absurd. The whole idea of "risk" is seriously minimized with proper credit and background checks. hm...gev...you should stop your tactic as "heavy undercutter" immediately! 416 427 bank-employees at the 100 biggest banks, even not the whole sector, so the numbers should be several 10 - thousands bigger. The doctors have the highest income, arround 100-200k, bankers aren´t at this high rate. I don't know where you're from, but in the USA engineers aren't viewed on the level you suggest. Also, a high school friend of mine makes about 400% my salary at a bank (for about 150% the hours worked). We are both 28 years old and I am an engineer. I don't believe he's talking about bank tellers or branch managers. That would be an absurd argument. I still maintain bankers (investment bankers etc.) are Gevlon's hated "M&S"
High-end bankers don't make money because they understand money or because they know "business tricks". They make money because they typically have a business and social circle that deals with wealth constantly. Once you get into an industry (such as banking) where high salaries are the norm, you receive greater compensation for the same level of performance. I completed my MS in Enngineering and my MBA core curriculum from an excellent university. I negotiate multi-million dollar deals regularly. My graduate school entrance exams were in the top 3% of the nation. However, I chose to enter a field where the ratio of salary vs. performance is low. Compare a top chemical engineer to a doctor. They work similar hours and have a similar educational background (assuming the chemical engineer has an MS). There's a good chance the chemical engineer has a higher IQ than the doctor. However, the chemical engineer entered a field with lower compensation. umm no. There are more banking guru's than doctors and lawyers because those two professions are generally one on one and work for someone else or for themselves using their own money. Banking guru's usually are over many people or accounts and are rarely using their own money. Doctors also have a "do no harm" rule, and lawyers normally do that if they want repeat business. Banking guru's do not care if they screw up its not their money. You really have a skewed view of why the "successful" people are successful. In many cases it is because they already were successful. I'm not saying that no one rises through the ranks, but its getting fewer and fewer. Those at the top are M&S when they take stupid risks just like those at the bottom are when they do stupid things. Please stop treating the top like they produce something or have some value other being in charge. Most companies would run just fine without their involvement some maybe better. I think you are off. People are not bothered by some very rare gurus (such as Greenspan) getting more money than the average doctor. They are bothered by the huge amount of banking ants getting paid twice as much as the best surgeons, while not even having a BA, and certainly not a Master of Science. In Zurich (you know, Switzerland, Land of Banks) there are bazillions of bank-employees who earn ridiculous salaries and the country just saved the biggest bank for 60$ billion (which is huge for a tiny country with 7 million inhabitants) because they fucked up royally. There are way more bankers than doctors, they are less well educated and still they earn more. It's also a function of how much money there is to be had in a particular profession. Professional sports players in the USA make upwards of tens of millions of dollars because the industries that they are in generate enormous revenues. Same for the movie industry. They're not as important as a nuclear plant technician or heart surgeon, but they have much higher salaries. I agree that the analogy is a good one, assuming (as I do) that Gevlon is using "bankers" and "doctors" as an analogy, not literally. The one difference you didn't mention between "professionals", who get a license to practice a trade like medicine, and those in "business" who attempt to build wealth with wealth, is risk. There is limited financial risk at most steps in the path of a professional career. The most obvious exception is the cost of the education, and the possibility of not being able to even start, which is incurred in the beginning only. That allows you to easily change paths. Gevlon's "bankers" constantly incur financial risk. And as the US has seen recently, no matter how "successful" you are, or appear to be (Bernie may you burn in hell), the possibilty of having it all come crashing down is a constant reality. Somewhere the synthetic control of "doctor supply" exercised by the AMA should be mentioned here. It would be similar to the "monopoly" AH buyers. They own all of the supply, and by keeping it down, they increase the business for existing doctors. There are actually more bankers than docters. Far more. Its just that only certain bankers get jobs, and its rarely due to their own skill or ability. If your parents paid you for a Oxbridge or Eaton education, thats you set. If not, then you have a uphill struggle to get anyware. In the US at least, there's also immigration policy. We bring in lots of engineers with 'unique' skills to bring wages down. Or, at least, most technical companies will pay about 10k less for a foreign engineer than a native born one. So - yah - engineering wages are artificially low here. Bankers when promoted remain Bankers because of the sector they work in. Engineers when promoted mysteriously become Managers or Executives. About 20% of CEOs were originally Engineers. In addition, Bankers are one step closer to the honey pot. They can command larger bonuses because they can say "Look at all this money I made you. It's only fair I take X%". Engineers, on the other hand, do not have that clean paper trail. Sure, your design might be going to make your company a giant in the field- but can you explain why it is better to a non-Engineer? From that, you can see why most wealthy pure Engineers don't work for other people. Compare the stories of Dyson (cyclonic separation hoovers) and Wallenberg (Tetrapak cartons). It's not really about scarcity of supply. It's about perception of what is and isn't an Engineer/Banker and ease of explaining your direct impact on the company bottom line. I'm not commenting on Doctors since I have little experience of the business side of their career. I work at a doctors office in the USA Midwest area. A lot of people here HATE doctors. Their concept of the doctor is not of a healer, but of some sort of leach that is just in it for their profit! (Oh yeah, let me go buy a fancy car on your $20 copay! oh wait, i'm just the technician you forgot was even here, Lawl, I'm part of that "overhead cost" you are oblivious to.) Like its EVIL to expect to be paid to do your job - just because its "helping" people.